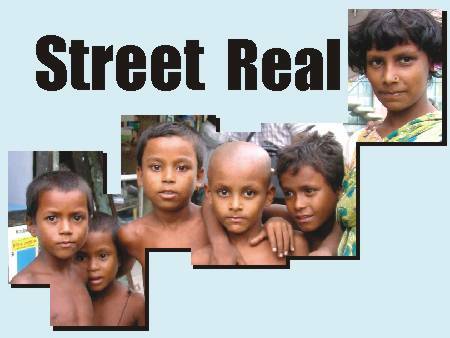 Most street children are baffled when asked what they want from life. For them, it is more a question of getting by each day: Managing a couple of meagre meals for themselves and sometimes even their families; surviving the heat and braving the storms in polythene homes. Some do not have a roof over their heads, except for the high ceilings of the Kamalapur Rail Station or any other shed or tree under which they are allowed to take shelter. Most cannot think beyond what their fathers or brothers do -- work as bus boys or masons. Others claim to have bigger dreams, to be doctors or "big officers". Their eyes are blurred with an uncertainty, with the helplessness of being trapped in a reality from which there is no way out.